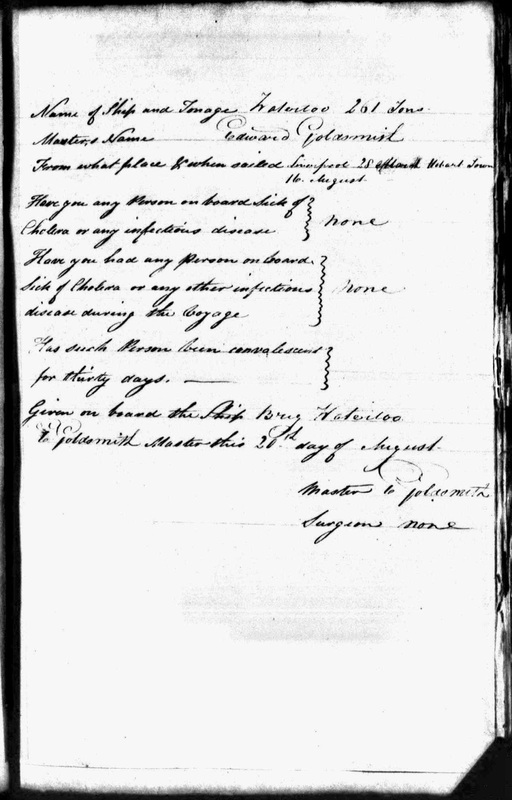 Following the trials and calamities which beset one of his first commands as a young master on the James which was wrecked days after arrival at the Swan River, Western Australia, in May 1830, Captain Edward Goldsmith, his wife Elizabeth and new-born son Richard Sydney continued their journey to Hobart, VDL, as passengers aboard the Bombay, together with crew-member James Day, Elizabeth Goldsmith’s brother. They sailed in the Elizabeth from Hobart to Sydney where Captain Goldsmith took command of the Norval, departing Sydney for London on 26th April 1831. He returned in 1832 to the port of Hobart in command of the Waterloo (not to be confused with the convict transport the Waterloo which was shipwrecked at Cape Town in 1842). First Mate on board the Waterloo (1832) was his brother-in-law, James Day (1806-1882), younger brother of his wife Elizabeth Day (b. Yorkshire 1803- d. Kent 1875) arriving 5th August at Hobart and 22nd August at Sydney. The 266 tons brig Waterloo built at Hull carried no guns, and was manned by 13 crew when they left Liverpool on 28th March. They arrived at the port of Hobart on August 5th carrying a general cargo, 28 adults, including pensioners, some bound for NSW, and 8 children. One man died during the voyage. After a short stay of ten days in Hobart, Captain Goldsmith and brother-in-law, First Mate James Day, set sail for Port Jackson (Sydney) on 16th August, 1832, arriving on 20th August. 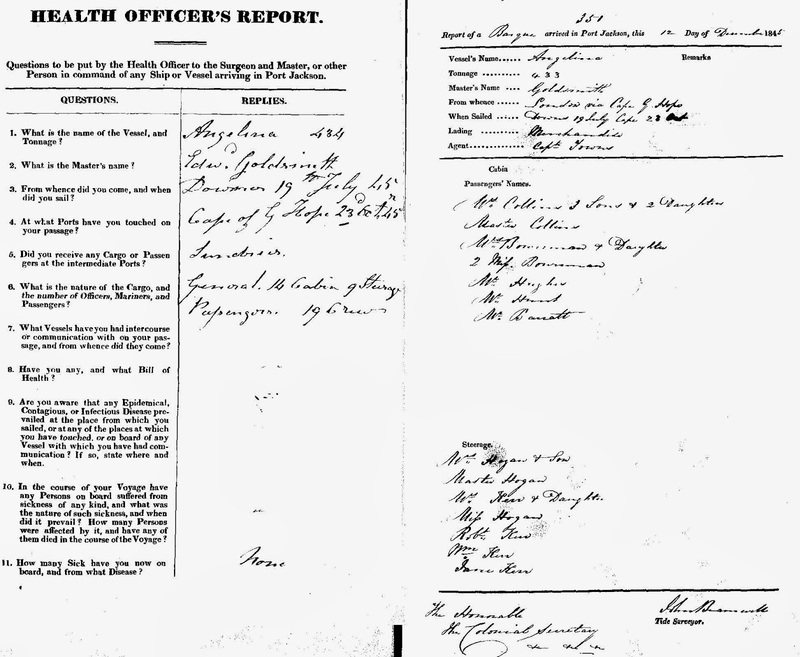 They reported no instances of cholera or other infectious diseases, and no Surgeon aboard. Exactly one year later, Captain Goldsmith arrived again in Hobart as master of the Wave, a ship he commanded on several more voyages between 1833 and the 1840s . 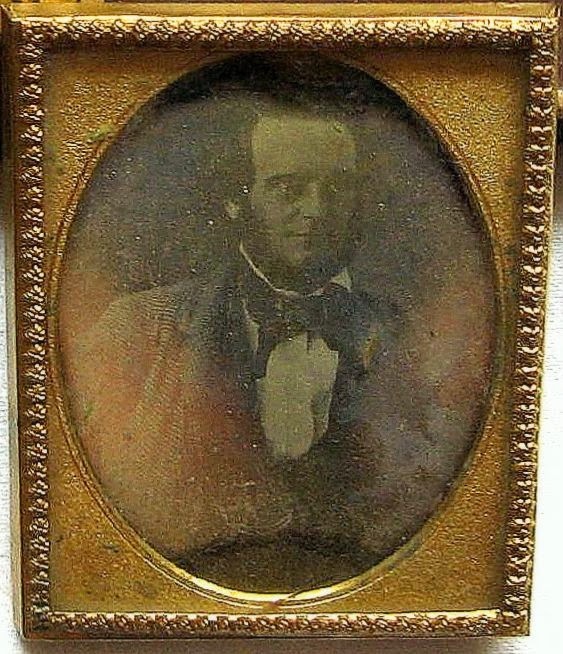 He attended the wedding of his wife’s brother, master mariner Captain James Day to Rachael Pocock – future parents of photographer Thomas Nevin’s wife Elizabeth Rachel Day (b. 1847, Rotherhithe) – at St David’s in 1841, and returned every year thereafter to Hobart in command of various brigs and barques, including his finest, the Rattler, which he advertised in superlatives, but he never again commanded the Waterloo. His last command of the Rattler was on the return voyage to London in 1851. His final farewell to Hobart was in February 1856 when he returned home to Gadshill, Higham, Kent as a passenger on board the Indian Queen, accompanied by his wife Elizabeth and son Edward Goldsmith jnr..
On this voyage of the brig Waterloo, Captain Edward Goldsmith was in command, his brother-in-law James Day was first mate. 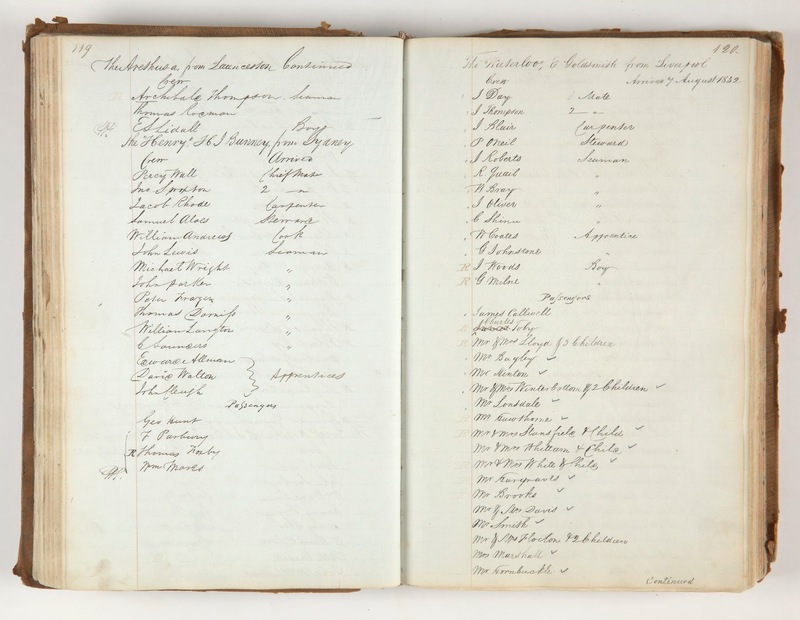 This is an incomplete list and does not include voyages which started or terminated at Port Jackson, Sydney. Captain Goldsmith reported breakers at Bonavista, Cape Verde Islands (Atlantic, west from Senegal, Africa) on the voyage from London to Sydney in command of the Wave, September, 1836. The reef was the site of the wreck of the Madeline 1835. Source: John Purdy 1838: page 45, The Brasilian navigator; or, Sailing directory for all the coasts of Brasil, to accompany Laurie’s new general chart, Volume 1. Oxford University. 1846: arrived Hobart from London, 14th November 1846, departed 21st January 1847. 1847: arrived Hobart from London, 11th November 1847, departed 29th January 1848. 1848: arrived Hobart from London, 4th December 1848, departed 25th February 1849. 1849: arrived Hobart from London, 27th November 1849, departed 26th February 1850. 1850: arrived Hobart from London, 13th December 1850, departed 19th March 1851. The South African Commercial Advertiser for 31 August 1842 and for 3, 7 and 10 September 1842 carried reports of the wreck of the convict ship Waterloo in a scathing critique of those responsible. . Sue MacKay has posted this transcript online together with names of those who died and those who survived. On the forenoon of Sunday last two large vessels, the Abercrombie Robinson and the Waterloo went on shore on the South Eastern beach at the bottom of Table Bay. Both vessels were engaged as Transports by the British Government. The Abercrombie Robinson had on board, besides her crew and several passengers, 501 soldiers with their officers. She was a large Ship of nearly 1500 tons burden. After grounding near the shore she stood upright, and no lives have been lost. She will probably, or rather certainly, be a total wreck. The Waterloo, a Ship of 414 tons, bound to Van Diemen’s Land, had on board, besides her crew, two hundred and nineteen male convicts, Dr. HELSELL in charge, Lt. HEXT, Ensign LEIGH, thirty men of HM 99th Regiment, five women and thirteen children. She took the ground between eleven and twelve o’clock in the forenoon and in fifteen or twenty minutes became a mass of rubbish, And now ensued a most piteous massacre. In about two hours and a half, amidst the crumbling heaps of their perfidious prison – of men, women and children, one hundred and ninety four were crushed, disabled and drowned. There was no preparation for saving life made on board or on shore. No life buoys, no coils of ropes lashed to casks, nor any apparatus for establishing a communication with the shore from the Ship. On the shore there was no Life Boat, no apparatus for throwing ropes over stranded vessels, nor any thing, in short, to show that the Government or people here had ever before heard of such a thing as a shipwreck. We stood amongst thousands on the beach within a hundred and fifty yards of the dissolving fabric, looking on the agonised faces of our fellow creatures, as they sunk in dozens, battered and bruised and suffocated – useless as children, or idiots, or wild Caffers. As corpse after corpse floated to our feet, and was raised from the brine, there seemed a curse in every dead man’s eye on the improvidence, the imbecility, the brutish indifference to human suffering and human life, to which, combined with fiendish avarice, so many miserable souls had been sacrificed. For this ship, it appears, was built twenty seven years ago at Bristol, of light materials for the timber trade. No longer fit to carry logs, she is patched up like other whited sepulchres, stuffed with a living cargo by a contractor, and dispatched to the ends of the earth – a voyage of more than twenty thousand miles. No doubt a “survey of professional men” will “find” that there was no fault anywhere; that the Waterloo was a sound ship, thoroughly repaired, and perfectly seaworthy; that she had on board all the equipments requisite for such a voyage and such a consignment; that the officers of the ship did all that human strength, directed by skill and animated by humanity, could do; and that the accident must be ascribed entirely to a hurricane, a mountainous sea, and a remarkably hard beach. Now as to the hurricane and the mountainous sea, it is enough to observe that there were twenty other vessels at anchor in the Bay, besides the Waterloo and the Abercrombie Robinson, and none of them parted from their anchors, or dragged them to any perceptible extent. The wind was blowing a gale, but by no means a violent one, and it was partly off shore. The sea was not running unusually high. Without ropes in their hands or any precaution, men walked into the water up to their shoulders to drag out the bodies of the dead and dying, without the slightest risk. This could not have been done had the surf been such as a gale causes on an open beach. These are facts to which thousands can bear witness. With respect to the bottom or ground where the ship struck, some say it is rock, others that it is sand, like the rest of the beach. As soon as the weather is fine it will be examined, and the most convenient spaces marked for this method of disembarking Her Majesty’s troops or convicts. For some years back such “accidents” have been ascribed to the insufficiency of Lighthouses at the entrance of the Bay. That fault has just been fully remedied. The old Lighthouse is now properly attended, and the new one is so well placed, and so brilliant, that no man dare pretend to miss it, or to mistake it for anything else. These and some further improvements in this department, still in progress, were forced on the Government by the remonstrances of the Public, and particularly of the mercantile body. When the Helen was lost at the entrance of the Bay, four or five months ago, the Commercial Committee very properly inquired into the cause, and found on the testimony of numerous witnesses that the Lights on that particular night were defective, and had thus misled the master of the vessel. This they represented to Government, and a remedy was instantly found. We recommend the same course in the present case. The committee cannot compel witnesses to attend or give evidence, but they can invite them; and if interested parties disregard such invitations, that fact will not be without meaning. These two wrecks will be much talked of at home. We think we can insure their being mentioned in Parliament. Let us show that we here are neither indifferent to human life nor to the character of our bay, which the villainy and the incapacity of strangers have too often brought into undeserved disrepute. In the midst of this unhesitating condemnation on some points, and charges of guilt on others, we have to mention that two unofficial spectators, Mr. MOLTENE and Mr. 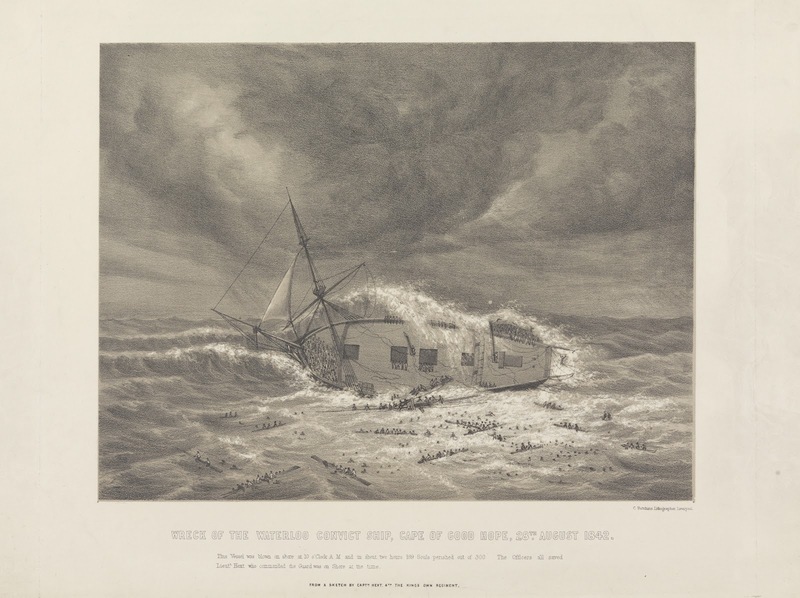 STILL, procured the assistance of a common boat belonging to a Malay, which reached the Waterloo after she was falling to pieces, and brought off two men, and on a second trip fastened a rope to the wreck. After this a larger boat, belonging to Messrs. SINCLAIR was brought from the Abercrombie Robinson, and moving backwards and forwards along the rope, saved a good many lives. This shows what might have been done by a Life Boat used in time. We purposely avoid going further into details at present, satisfied with thus openly charging all the parties concerned, before the world, with the offence of culpable negligence, or criminal intention. The world, let them be well assured, expects an answer, and will treat them according to the case they may make out in defence. It is not strange, by the way, that we should hear such lamentations from what is called the Shipping Interest, as if no employment could be had for their new-built, fine-moulded, copper-fastened A.I. Vessels, while for the most important of all services, the transport namely of troops, and of persons under Judicial Sentences, such vessels as the Waterloo find ready acceptance in the twenty seventh year of their fragility and rottenness? We shall endeavour to force our way through this moral confusion, convinced that either the Shipping Interest are a pack of liars or the Contractors a pack of knaves. The official gentry who grant the contracts and their cousins the Surveyors will naturally fall into their proper places in the course of the Inquiry. 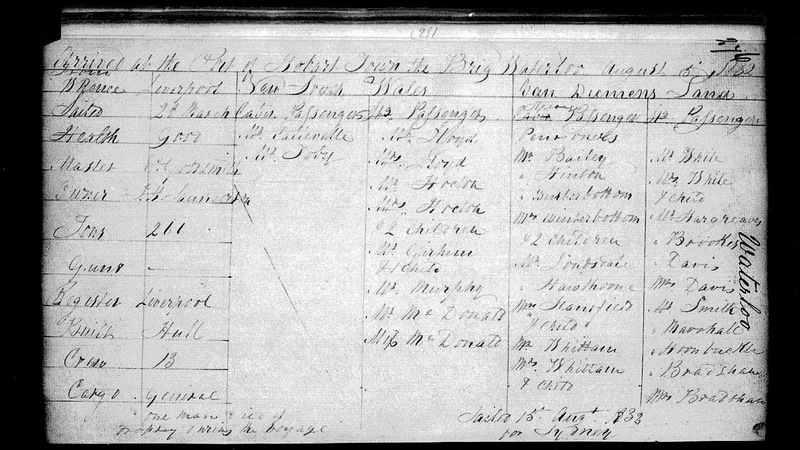 Records of the convicts aboard the Waterloo who drowned. 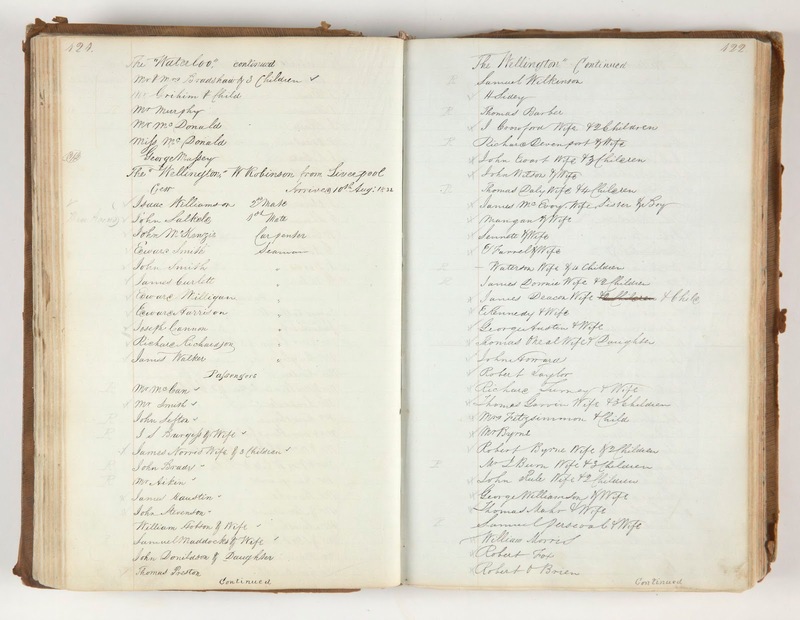 Copy, dated 24 November 1842, of alphabetical list of convicts saved from the wreck of the Waterloo, convict ship; forwarded to the Lieut. Gov. 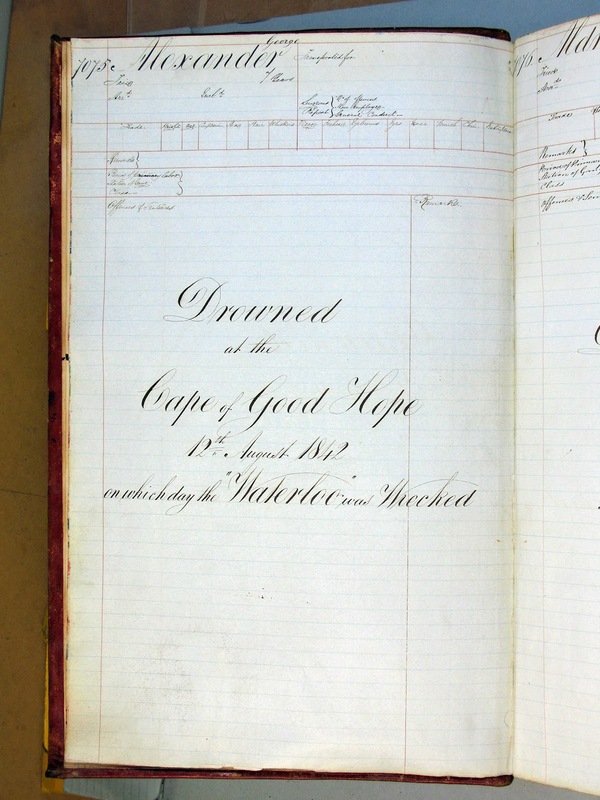 of Van Diemens Land from the Government of the Cape of Good Hope. Painting of the troop carrier “Abercrombie Robinson” and the convict ship “Waterloo”, aground in Table Bay in August 1842. Unattributed, sourced at Wikipedia.